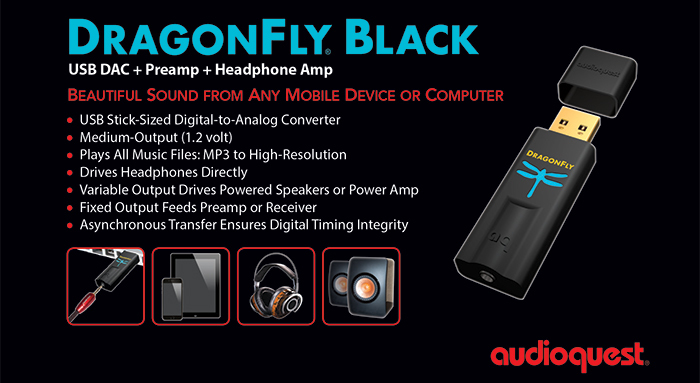 The AudioQuest DragonFly DAC Version 1.2 is a flash drive sized Digital-Audio Converter that connects to a USB port. 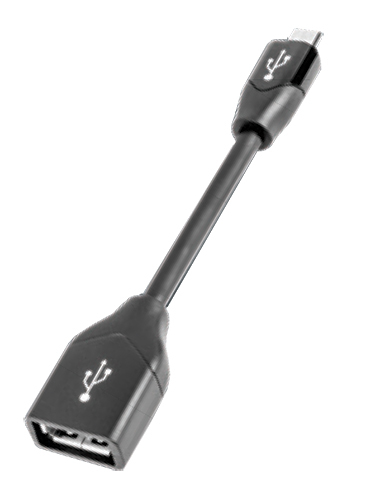 It features a 24-bit ESS Sabre conversion chip that bypasses the computer's sound card to deliver higher quality sound from your Mac or PC. 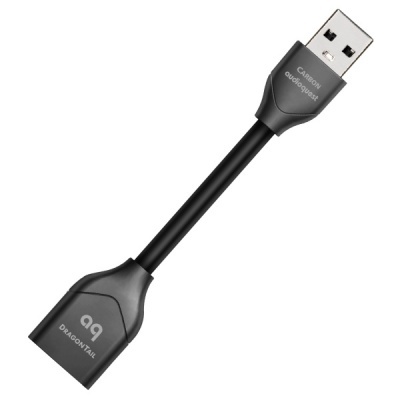 Version 1.2 has improved circuitry from earlier versions between the DAC chip and analog output as well as a fortified power supply. 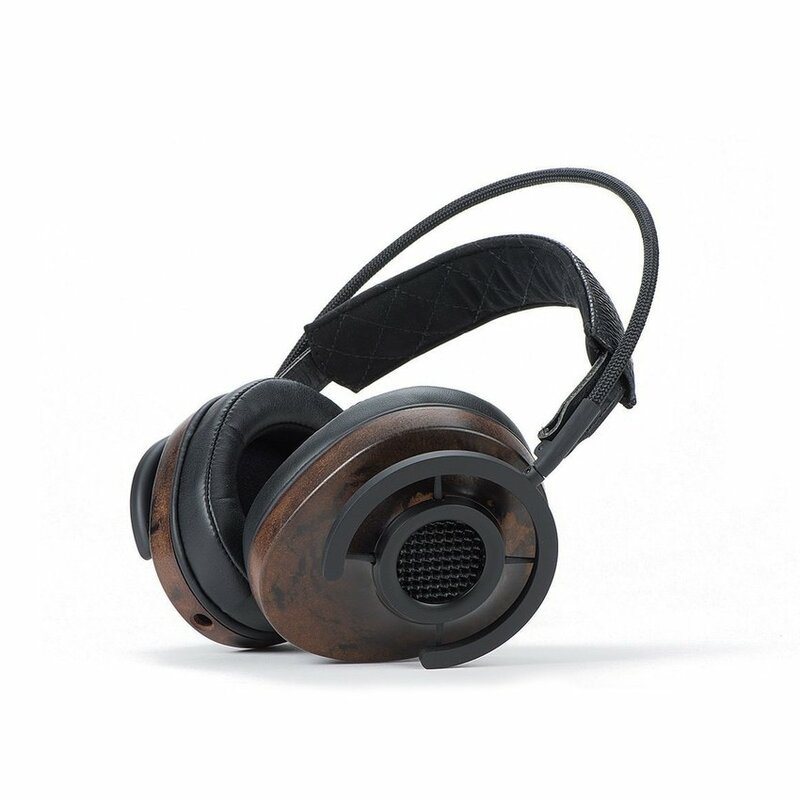 Its 1/8" (3.5mm) stereo output can connect a set of headphones or allow patching to a larger audio system. 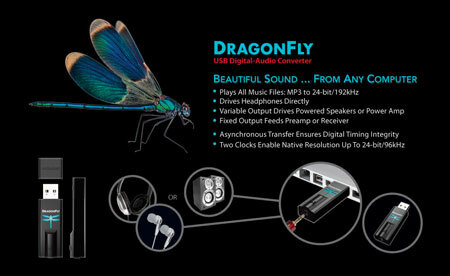 The DragonFly DAC Version 1.2 can accept audio files ranging from MP3s and CD-standard 16-bit/44.1kHz to higher resolution 24-bit/96kHz formats. 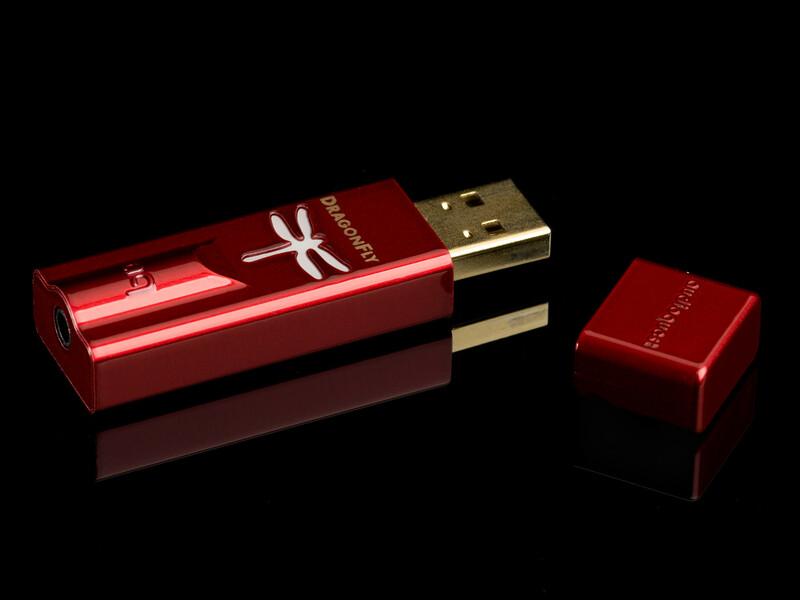 Using USB protocol, DragonFly commands the timing of the audio data transfer, dramatically reducing errors. Two discrete onboard clocks are used to optimize performance for the native sample rate of the audio being played. A smart LED indicator on DragonFly shows the resolution of the incoming signal. Additionally, DragonFly's analog circuits are direct-coupled from the ESS converter chip's output, avoiding the need for any extraneous components in the signal path. Box Dimensions (LxWxH)	8.3 x 6.1 x 1.2"